Nebraska Football likes to make its non-conference schedule many years in advance. Mark your calendars – the Huskers travel to Tuscon to play Arizona on Sept. 13, 2031. Earlier this week on Sports Nightly, Nebraska athletic director Bill Moos said there could be some news coming “soon” regarding the Huskers’ future schedules. Most likely the non-conference portion. 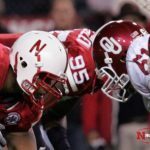 Through 2031, Nebraska has four games scheduled against Oklahoma, four more against Colorado, two against Tennessee and two against Arizona. What other power five teams would fans like to see in Lincoln? What team would you like to see Nebraska add to its non-conference schedule in the future? In a Twitter poll conducted, more than half of 55 voters surveyed said they’d like to see Nebraska play Texas again. Here’s a look at the non-conference opponents Nebraska has already scheduled for future seasons. Under current Big Ten rules, schools in the league can only have three non-conference games on their schedule per season.